We’re always late to reviewing things, but nevermind. 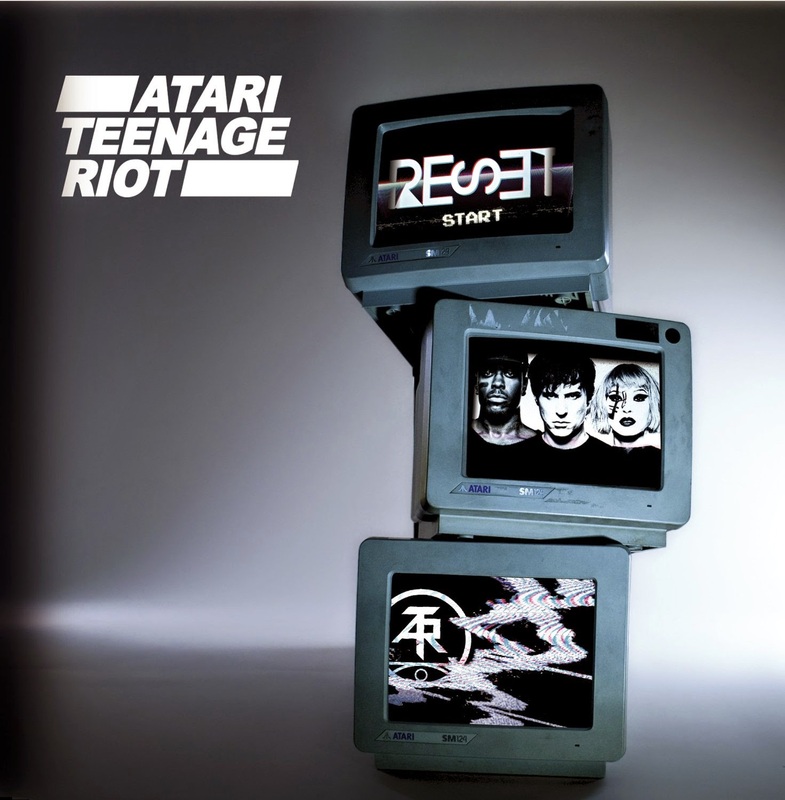 Atari Teenage Riot are a band who have been around since 1992 and throughout four albums they have always remained on point with current affairs and more importantly, combining it with some intense electronic dance/techno/punk music. Now with a new lineup and a general reset of the band, they have returned with their fifth studio album, aptly titled Reset. This new lineup allows ATR to bare a new sound with a ton of edge to it. Rapper Rowdy Superstar certainly adds some stark lyrics which really cut through the music and deliver the overall angst that surrounds this record, and Nic Endo’s ice cold delivery just brings some extra sharpness to the sound. The sound of Reset is heavily distorted, bolstered by hugely compressed drums and it is just chaos in ten tracks. Topics about the government, surveillance, violence, protest are brought forth throughout and while it’s often hard to really hear the lyrics through the music it does get backed up by trio’s priority to deliver it with as much urgency and noise as possible. Typically these heavily loaded records fall flat but with this return Atari Teenage Riot produce some of their most accessible tracks yet. The majority of the record lays down some straight up house tunes, and even in the case of Modern Liars, some of the band’s poppiest material yet. That main hook is almost sickly sweet compared to the rest of the music, but it does add a nice touch of variety to things. If you’re looking for grit then you’re pretty much gonna be satisfied with tracks like the opener J1M1, the title track and Street Grime as these three tracks especially just go hard on the tempo and the noise. ATR do let some groove slip in too, with the opening bass intro to Death Machine laying down something good, and the six minute epic Erase Your Face offering some space to move in the most off-kilter way. Overall Reset is a solid record and a great return for Atari Teenage Riot, and while they do attempt to change things up while bringing forth a nostalgic techno/house sound it ultimately falls a little flat. While the topics they talk about are important and spreading awareness is necessary there are a ton of other bands doing that at the moment too, and the overblown sound has been heard many times before already. Liars, Sleigh Bells, The Prodigy for example. So while there’s a lot of volume, screaming the loudest isn’t going to get the most people listening. For more music reviews, free downloads and also reviewing records two months late isn’t going to get people listening check out Exploding Head Syndrome on Facebook and Twitter.